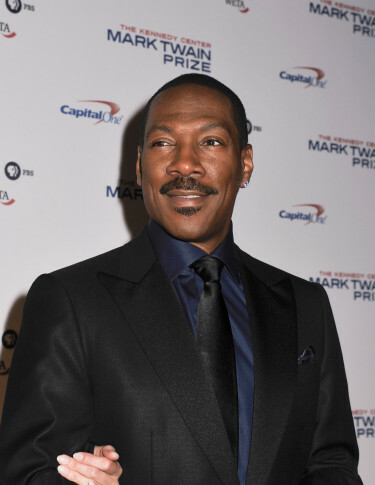 Eddie Murphy was honored with the Mark Twain Prize for American Humor on Sunday night at the Kennedy Center for the Performing Arts. Tracy Morgan, Kathy Griffin, Trevor Noah, Dave Chappelle, Kevin Nealon and Whitney Cummings were among those who came out to salute and pay tribute to Murphy. Browse through these photos from the event, which will be broadcast on Nov. 23 on PBS.